Neil is an Associate in the Banking team at Newcastle. Neil joined Burnetts in 2019 and is an Associate in the firm’s Banking team where he acts for lenders and their customers, taking legal charges over a wide variety of properties. Neil graduated from Northumbria University in 2002 with an LLB Hons and qualified as a Chartered Legal Executive in 2010. He has a wealth of experience in both commercial and residential property, with a particular specialism in secured lending, having worked in the banking teams of both Eversheds and Ward Hadaway in Newcastle. 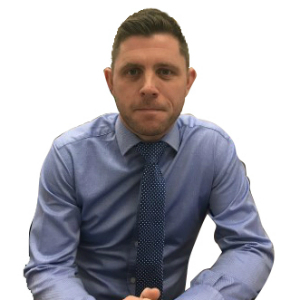 Based at Burnetts’ Newcastle office, Neil is originally from Seaham in County Durham but now lives in Westerhope. Outside of work, he likes to spend time with his wife and two young children. He is also a keen amateur footballer and enjoys road running at 10km and half marathon distances.